The self-explaining name comes from the synthesis of ‘Equality’ and ‘coin’. The EquaCoin is building innovative monetary instrument whose aim is to be better than of previous experiments like fiat currency. In particular, we focus here to the monetary policy of issuance of the currency and the way it is distributed. Aside from the fact that EquaCoins will be bought and sold in exchange for other currencies and cryptos, the issuance mechanism is governed by a democratic consensus from the public that is composed from the people who have downloaded the APP of the EquaCoin wallet for smartphone. This wallet will be available on or before November 3, 2017, just in time for the initial Crowdsale. Each owner of the wallet has a voting right in the EquaZone. 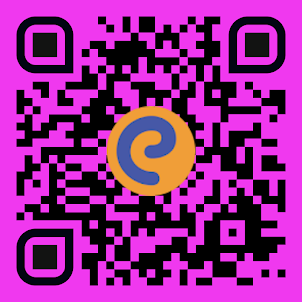 The EquaZone is a social platform available through the wallet to propose and vote any economic projects. Imagine a group wants to form a start-up and lacks the funds. It can propose the project to the EquaZone together with all the details, like business plan, pictures, videos, etc. and all the users of the EquaCoin wallet can cast a vote to the project. When a majority of the voters is reached, at the end of the voting time, the project is approved. The system creates the new EquaCoins necessary to finance your project and the platform will form a partnership were the 30% of the project is allocated to the EquaZone. The project will retain 70% ownership and receive the funds to start operations, for free. Yes, no loans or interest, or collateral is needed. The risk is shared between the project and the EquaZone. If the project is successful, it is a win-win. Else there will be no profits and the project is abandoned. Obviously, there will be a mechanism to filter out the projects at the time of proposal and this mechanism is human in the first stages of the operation but will be fully automatized in the 24-36 month after the November Crowdsale. The funds are paid by the new creation of EquaCoins necessary to cover the costs. The monetary policy is driven by democracy and it is to the people to decide where to allocate new money. Embedded in the algorithm is right to free exchanges: all the fees for transactions – either inside or outside of the EquaCoin system – will be paid for by issuing new EquaCoins. The users will not have to bother with calculation of fees, the payment will be automatic and governed from the smart-contract that govern the payment of fees. And so on. This economic democracy is decided by the public for each case and it is automatically enforced by the system. As the EquaCoin is accounted for as a revenue in the EquaZone, at the time of creation, there is no debt for the system and it can go on and develop as the people casting votes so decide. As an early adopter in this new concept, Hub Deals Corp. has acquired One Hundred Million EquaCoins and will begin to accept EquaCoin and other crypto currency shortly. 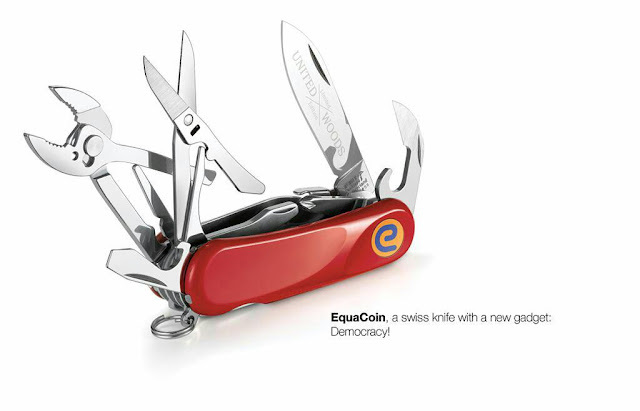 EquaCoin empower the people with democratic economic rights, something that is very new in our contemporary society EquaCoin is the perfect quiet weapon for winning democracy and it can be backed by the UN facilitating peace everywhere in the world. Hub Deals Corp. has acquired 100,000,000 EquaCoin from EquaCoin AG., of Zug, Switzerland. The offering of EquaCoin AG, Zug, Switzerland - will start on November 3, 2017 and yet 20% of the EquaCoins has been pre-subscribed at the exchange value of 1 EquaCoin equal to EUR 70 cents. The CEO of this evolutionary democratic blockchain, Marco Saba declared: "We are very proud to have embedded democracy into money: this new alchemy will further the values of democracy all over the world". The idea is to leave to the democratic public consensus the monetary policy of the currency creation to meet the needs of the projects that will be put under public scrutiny. “We are very hopeful that this new Crypto coin offering will have a profound effect not just on the sector but the world at large” Mr. William Drury, Hub Deals President and CEO said. Mr. Drury further explained “This will be the first action of the Hub Deals Companies into the Crypto Currency sector and the initial step to make hubdeals.com the first online auction company in the world to accept only Crypto Currency for goods”. Ms. Nadia La Banca, EquaCoin AG CFO, was proud to tell that the crowd-sale starting price is set at market-to-market and that she expects to have all EquaCoins sold before the expiring of the deadline of December 3, 2017. The technological breakthroughs of EquaCoins are: the use of advanced biometrics to minimize risks to their currency/wallet to be stolen or lost; the blockchain system that is not anonymous so that authorities can track every movement of the currency starting from the very first moment it was created. Marco Saba, the CEO of EquaCoin AG, is an Italian economist and a forensic accountant specialized in money creation accounting. He wrote three books and audited independently the balance sheet of many commercial banks and some central banks. Mr. Drury further explained “This will be the first action of the Hub Deals Companies into the Crypto Currency sector and the initial step to make hubdeals.com the first online auction site to accept the new form of currency with the eventual goal of becoming the first auction company in the world to accept only Crypto Currency for goods”. Hub Deals is a new kind of eCommerce Platform for selling high end luxury products. The company provides a hub for sellers to post products that they will sell, barter or a combination of both via an innovative interactive technology. Hub Deals is a Delaware based corporation that generates revenues through interactive reverse auction sales/barter via its eCommerce platform (www.hubdeals.com). Hubdeals.com is an innovative eCommerce interactive platform featuring Fine Art, Collectables, Antiques, Jewelry, Watches, Cars, Boats, Airplanes and Real Estate. We strive to present only the best and most desirable objects to the most discerning clients. Hubdeals.com offers clients opportunities to transact with private sellers, galleries, Airplane, Yacht and Automobile brokers, Diamond wholesalers, and much more, anytime, anywhere, by Computer or Mobile device. "09/04/2017 12:09:17 3P8CTJasbKfRV4Mbx3U1ZmoNdNqMRT5XGfK Ftf4JTfq556g9TzS9TZ7hbr6fMM3XNrD8wYquUeTB3Db Equacoin A creare Equacoin ci vuole molto poco"
Beware, counterfeited EquaCoins will be not redeemed at the November 3, IDCO (Initial Democratic Coin Offering) and cannot be transferred to the new EquaCoin Wallet. EquaCoin has been launched from the Cryptovalley of Zug, Switzerland. This offering from EquaCoin AG, Zug, Switzerland - will start on November 3, 2017, 20% of the EquaCoins has been pre-subscribed at the exchange value of 1 EquaCoin equal to EUR 70 cents. The CEO of this evolutionary democratic blockchain, Marco Saba declared: "We are very proud to have embedded democracy into money: this new alchemy will further the values of democracy all over the world". The idea is to leave to the democratic public consensus the monetary policy of the currency creation to meet the needs of projects that will be put under public scrutiny. This system somehow echoes memories of Benjamin Franklin statement to the British Parliament when asked about the oversea colonies fortunes and he told that they were printing all the money they need for their own projects. The people that will use EquaCoins can propose and start their projects upon a democratic majority vote because the EquaZone will create the money needed by the project. Ms. Nadia La Banca, the company CFO, was proud to tell that the crowd-sale starting price is set at market-to-market and that she expects to have all EquaCoins sold before the expiring of the deadline of December 3, 2017. The technological breakthroughs of EquaCoins are: the use of advanced biometrics to minimize risks to their currency/wallet to be stolen or lost; the blockchain system that is not anonymous so that authorities can track every movement of the currency starting from the very first moment it was created; the fact that all the users fees for all transactions will be covered by the EquaZone through creation of new currency units; the segregation of the wallets from the EquaCoin AG so that users will not be affected by the company’s economic situation. Press coverage for "EquaCoin Has Launched From the Cryptovalley of Zug, Switzerland"
Oggi il mercato delle valute digitali, cosiddette criptovalute basate su blockchain, capitalizza 134 miliardi di dollari, di cui oltre tre quarti è costituito da quattro criptovalute: il BitCoin (47%), l’Ethereum (19%), il Bitcoin cash (6%) e il Ripple (5%). (Fonte: http://www.flippening.watch/ ). Qualche centinaio di valute minori copre il restante 23% del mercato. L’ultima ICO (Initial Coin Offering, Offerta Iniziale di Moneta) importante è stata quella recente del FileCoin che ha raccolto oltre 257 milioni di dollari, un record assoluto. Il 29 giugno l’investitore miliardario Michael Novogratz ha affermato che il mercato di queste valute arriverà a 5mila miliardi di dollari entro i prossimi 5 anni. - è sviluppata inizialmente in ambiente Ethereum e gestita attraverso smart-contract. - è progettata per impedire l’influenza di gruppi di pressione. Oltre a rappresentare quindi uno strumento monetario digitale per lo scambio di beni e servizi, EquaCoin rappresenta il biglietto virtuale per entrare a far parte della EquaZone . 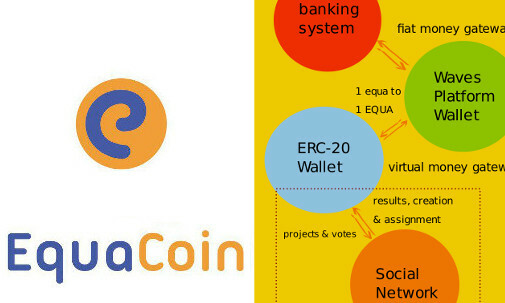 L’EquaZone è lo spazio virtuale che comprende chiunque possegga almeno un EquaCoin che da diritto al voto nel social network accessibile dal wallet EquaCoin, all’interno del quale possono essere proposti e votati nuovi progetti e le regole della comunità stessa. Se si raggiunge la maggioranza dei voti dei votanti, la proposta viene subito implementata. Nel caso di nuovi progetti, l’approvazione per votazione del progetto permetterà di creare tante EquaCoin quante saranno necessarie per finanziarlo. Quindi si tratta di una evoluzione del cr o w d funding dove invece, notoriamente, uno deve privarsi di risorse personali per finanziare iniziative altrui. La nuova creazione di EquaCoin permette di finanziare a fondo perduto qualsiasi iniziativa interessante decisa dalla comunità EquaZone. I progetti realizzati diventeranno di proprietà comune della stessa EquaZone per un 30%. La quota parte virtuale di questa proprietà è connaturata nella quantità di EquaCoin posseduti da ogni singolo membro e si riflette in una maggiore stabilità e resilienza della valuta. La votazione è diretta. I voti sono uno a testa e valgono indipendentemente dalla quantità di EquaCoin possedute (minimo una). Tramite le votazioni è anche possibile rimuovere o aggiungere membri al team che gestisce l’EquaZone (ad esempio, i membri del comitato di valutazione dei progetti proposti, il collegio dei probiviri che danno indicazioni non vincolanti sul cambiamento delle regole, etc. ), attribuire dei premi o bonus, rimuovere o aggiungere membri all’EquaZone, finanziare acquisti di beni e servizi, distribuire un’indennità mensile ai partecipanti, proporre nuove regole, etc. etc. Il valore nominale di EquaCoin, stabilito all’offerta pubblica del 3 novembre 2017 in 1 EQC = 0.70 EUR, verrà aggiornato il 3 dicembre 2017 secondo l’equazione “1 EQC = quotazione di uscita dell’offerta pubblica”. L a nostra offerta pubblica chiamata IDCO , ovvero Initial Democratic Coin Offering, prevede l’accesso alla piattaforma di exchange tramite il borsellino che è in corso di approntamento da parte della EquaCoin AG, la società per azioni di diritto svizzero che gestisce la realizzazione del progetto costituito da: borsellino, piattaforma di exchange, piattaforma social e gli smart contract che permettono la gestione automatica della EquaZone . 2) Offerta pubblica di un miliardo di EQC dal 3 novembre 2017 al 3 dicembre 2017 con prezzo iniziale equivalente di 0,7 Euro per EQC; (il prezzo base è stato stabilito con contratti esistenti per il 13% del target dell’offerta pubblica – ovvero 130 milioni di EQC - con consegna prevista al 3 novembre a 0.70 EUR equivalenti). Il 20% del ricavato della IDCO verrà destinato alla EquaCoin AG, mentre il restante 80% sarà a disposizione della EquaZone. 3) Apertura ufficiale exchange EQC il 4 dicembre 2017 con valore iniziale di 1 EQC = prezzo finale raggiunto nella IDCO . Poiché lo scopo dell’iniziativa non è quello di favorire la speculazione, verrà messo in atto un sistema di stabilizzazione dell’EQC per mantenere il tasso di oscillazione entro il 5% annuo con tecniche analoghe a quelle già usate sul mercato. 5) Entrata a regime di tutte le funzioni previste nel white paper entro il 2019. La criptomonnaie arrive dand le monde, et change les regles du jeu financiel. Ce n'est pas plus Sci-Fi, mais un argument passionnant le public et les nouvelles se multiplient. Comme a Teheran ou il n'y a plus d'Internet, meme les regimes les plus democratiques ont retarde' l'adoption des altcoins pour des annees, mais c'est deja mainstream, et alors ils cherchent maintenant d'en prendre le control, et meme ca va en ralentir l'adoption, sans l'arreter du tout. Autre argument fundamentel qui marche main en main avec la cryptomonnaie est le salaire basique universel; entre les deux on pourra' sortir de la crise economique mundielle. Personellement, j'etais dans un groupe qui voulait en 2007 emettre la premiere criptomonnaie, et qui les authorites Italiennes bloquaient meme sans l'existence des lois q'elles pretendaient d'appliquer; apres dix ans, aucuns des surviveurs du groupe se sont reunis; apres la lecon Italienne cette fois nous sommes incorpores en Suisse, et EquaCoin, qui presente des ameliorements technologiques et sociaux sur Bitcoin et Ethereum, est deja en vente pre ICO. EquaCoin est aussi un outil sociopolitique; d'abord il est inspire' et pourtant governe' selon des principes democratiques; pourtant une partie des gains de l'enterprise seront dediques a ouvres benevoles et sponsorisations d'individues et groupes d'utilite' socielle. Dans ce contexte rentrent EquaZine.com qui commence en ligne mais sera un hebdomadaire dedique a fintech, art, innovation et societe'; la publication commencera en Francais, Anglais, Italien, Espagnol et Allemand et ajoutera autrs idiomes selon les possibilites. Dans le secteur benevole, EquaCoin a commence avec l'adoption de la Bourse Intellectuelle, que j'ai fonde' en Israel en 1978 avec le propos de donner aux individuels un valeur (equity) base' sur la propriete' et le potentiel intellectuel, qui soient collateral pour financier le developpement de leurs idees et projets; en 2000, apres mon divorce j'en ais change' le nom en "AMEN, Association to Empower the Needy" et ajoute' aux buts le l'association la prevention du suicide et du divorce cause' par l'emargination financielle qui laissent comme victimes collaterelles les enfants de la couple avec un lourd fardeau de malaise mentale et parfois la Syndrome d'Hemingway. AMEN et La Bourse Intellectuelle s'adressent a la recuperation des emargines du monde du travail avec la provision d'outils, conceptuels et physiques pour commencer et nourrir une enterprise jusque au succes en resistant aux pressions destructives par banques et crediteurs: la nouvelle enterprise utilise espace et outils en pret, de propriete' de l'association et pourtant pas confiscables, et les profits restent en escroc jusque a la sortie de l'endettement du fondeur, qui beneficie d'assistance legale, administrative et comptable pour negocier la sortie de la faillite. Beacoup d'enterprises sont tuees par manque d'acces au credit et encore plus par manque de resource pour en tenir en ordre l'administration; beacoup de cettes fonctions pourront beneficier du progres en Intelligence Artificielle pour sortir du trou comptable, en faisant audit des dettes et corrections d'erreurs comptables pour mieux negotier l'extintion de cesci et le retour a la liberte' d'action. La Bourse Intellectuelle pourra aussi promoter des reformes legislative pour faciliter la rehabilitation et reconstruction des enterprises qui ont failli, meme si elles sont petites; maintenant ca n'est pas possible. Je n'ajoute pas ici des hyperlinks, par crainte d'etre rejecte' comme spammeur par quelque filtre digital, mais on peut trouver sur YouTube du materiel sous "pizzarebbe"; veuillez pourtant me donner un adresse e-mail ou je pourrai envoyer documentation supplementaire. En somme, je suis a disposition pour (aider a) produire en Israel programmes sur les sujets ci-dessus et sur l'art, qui aussi est un tres fort outil pour la rehabilitation. En souhaitant Sante', Longevite' et Prosperite'. Startup investor, blockchain enthusiast, bitcoin early adopter, political observer. The democrat creation of a new crypto-currency named EquaCoin will consent people to breed an EquaZone to recover its sovereignty usurped by commercial banks during the last century. Nowadays the blockchain technology consents to conceive a world with literally thousands of currencies, backed by individuals as well as private organizations, absolutely unimaginable at Hayek’s time, but with a revolutionary potential able to change the world. But … wait a moment, am I writing about a new libertarian paradigm, able to further reduce democracy and people rights ? Well, NO. I’m talking about the Japanese martial art of Aikido’s irimi, turning movements that redirect the opponent’s attack momentum. As the south European citizens should have well understood, the Libertarianism is only a fashionable method to steal the people sovereignty and in particular the Monetary Sovereignty. The Euro currency, much more than the Dollar, is a way to rule citizens with no care for democracy and, now, it is time to recover what has been so unfairly subtracted, it is time to introduce a new currency able to circumvent the technocracy, recovering the stolen democracy. Taking also count of the recent evidences due to the work of Prof. Richard Werner , the Italo-Swiss economist Marco Saba conceived a new economic area, named EquaZone adopting a new currency, the EquaCoin. In despect of the above definition, it is my opinion, that the EquaZone is far away from a mere economic area, it is a concept that is much more close to a “New Nation” than a simple market. The EquaZone will be the country of EquaCitizens, people able to work and generate income without the constraint of a territory. The EquaZone citizens will have a total democratic control on the currency emission, and will be able to vote for any project financed in EquaCoin. Denationalization of Money: The Argument Refined — F.A. Hayek — 1976 — Courtesy of IEA — The Insitute of Economic Affairs (1990). Grato a ScenariEconomici che mi ospita senza indugi né censure, scrivo il secondo articolo sul sistema EquaCoin cercando di illustrare con semplicità il suo funzionamento e le specifiche. Tutto nasce operativamente dal mio desiderio di sintetizzare due decenni di studio e ricerca sui sistemi monetari, incoraggiato fortemente dal compianto prof. Gianni Degli Antoni a cui dedico il progetto, e dall’ incontro con Giovanni Ciallella, esperto informatico, che ha già realizzato importanti progetti in rete (Piperito VOIP, Emotilogic, Jobrapido, Ubiter, Monese, etc.). In due anni di chat, Skype e telefonate siamo riusciti a delineare un progetto di moneta virtuale privo dei difetti dei sistemi precedenti e dotato di caratteristiche inedite: basso consumo energetico, massima sicurezza, gestione democratica della creazione e dell’emissione, contabilizzazione corretta delle operazioni, assenza di spese per le operazioni effettuate dagli utenti, massima scalabilità e flessibilità del sistema. Insomma, un sistema evoluzionario che non invade le funzioni bancarie come il prestito ad interesse, poiché opera attraverso la compartecipazione e la cooperazione secondo principi non competitivi. Il forte contenuto democratico (una testa un voto, indipendentemente dalla quantità di EquaCoin posseduti) fa sì che il sistema – una volta a regime – verrà lasciato gestire direttamente agli utenti che, attraverso il processo del voto sul social collegato, potranno addirittura modificare o introdurre nuove regole. EquaCoin dunque da la possibilità a chi ne possiede almeno una, di diventare un cittadino della EquaZone, la comunità virtuale internazionale e glocale dell’EquaCoin. All’interno della EquaZone, gestita automaticamente tramite smartcontract in ambiente Ethereum, è possibile creare altre zone ed anche, volendo, con valute proprie. In questo modo le comunità, città o anche stati ed organizzazioni che volessero giocare con una valuta glocale, troverebbero immediata ospitalità senza dover reinventare tutto daccapo. Il sistema verrà gestito semplicemente scaricando una APP per smartphone che conterrà le tradizionali opzioni di scambio ed acquisto oltre a due funzioni innovative – di proposta e di voto – che condurranno l’utente in un social dove proporre, discutere e votare progetti e regole. EquaCoin sarà anche disponibile in formato open source su internet per le necessarie operazioni di auditing e per l’eventuale miglioramento dei sistema in perfetto stile Ubuntu. Noi ci stiamo impegnando a rendere disponibile la piattaforma completa del social per gennaio-febbraio 2018. La prima tappa è stata quella del prefinanziamento per preparare l’offerta al pubblico del 3 novembre prossimo. In quella occasione saranno offerti al pubblico 500 milioni di EquaCoin che provengono dal master account della EquaZone su cui rimarranno congelati 499,5 miliardi di EquaCoin. A questo conto principale attingerà la comunità attraverso la votazione per finanziare i progetti e le spese di volta in volta approvate. Inutile dire che qualora questa riserva finisse, si potrà votare di crearne un’altra. Per quanto riguarda il ricavato della vendita al pubblico del 3 novembre, il 20% rimarrà al team di sviluppo (EquaCoin SA) mentre l’80% andrà a costituire ulteriori riserve dell’EquaZone che serviranno per stabilizzare il cambio e finanziare progetti come la comunità meglio deciderà. Il team iniziale avrà in futuro solo il compito di fornire pareri non vincolanti per le votazioni che incideranno significativamente sulla natura del progetto EquaCoin. Tutto qui, per ora, su questo progetto ideato in Italia e prodotto in Svizzera che diventerà di pubblico dominio. Per ottobre pubblicheremo un whitepaper progredito che approfondirà completamente i dettagli tecnici. La nostra idea è che questa moneta GLocale possa influire sulla società esportando un modello democratico puro che incontrerà positivamente il favore del pubblico. Ci sarebbe tanto da aggiungere ed estrapolare ma lasciamo volentieri al lettore l’analisi e la critica di questo progetto evoluzionario. da una felice intuizione che ebbi assieme all’avvocato Marco Della Luna, che qui ringrazio per gli scambi verbali prolifici che negli ultimi 15 anni ci hanno permesso di progredire in una ricerca non facile ostacolata dalla stolidità generale del pubblico indotta a sua volta da un’accademia spesso cieca, sorda e muta, e da una pletora di giornalisti che sopperiscono all’ignoranza con l’arsenale della disinformazione, non immaginavo ancora che ne sarebbe derivato il progetto di EquaCoin, la prima valuta digitale con la democrazia dentro, che verrà offerta al pubblico a novembre di quest’anno. Moneta Nostra nasce dall’idea di effettuare un esperimento empirico per dimostrare come si potrebbe creare moneta scritturale da parte del pubblico e controbilanciare l’asimmetria di potere che ha portato il cartello bancario – letteralmente – ad essere “proprietario” e “sovrano” del mondo. Se ne desume platealmente che oggi è il cartello bancario a godere di questa esorbitante prerogativa, la tassa del signoraggio negata allo Stato (e non “al governo” ! ), nella produzione di oltre il 99% dei mezzi monetari (moneta cartacea e moneta scritturale). Il meccanismo di perversione contabile con cui il cartello bancario evita di restituire allo Stato i profitti reali derivanti dalla creazione di denaro, lo spiego nei corsi di contabilità forense della creazione di denaro. Sostanzialmente, quando la banca crea denaro, non ne registra in cassa la creazione, cosicché un fantasma si aggira per l’Europa: tutto il denaro che non viene contabilizzato all’origine nei flussi di cassa delle banche ! Esemplificando ulteriormente, se UniCredit comprasse tutta l’Italia, creando denaro dal nulla, il suo bilancio apparirebbe in pari, se non addirittura in perdita ! Questi poteri permettono al cartello bancario di esercitare ampia discrezionalità nel concertare ricorrenti crisi creditizie artificiali per piegare i governi, e quant’altri, al suo dictat, fino ad arrivare alla grottesca situazione per cui chi crea denaro dal nulla dovrebbe essere salvato e soccorso da chi, in cambio di questo denaro, è obbligato a produrre beni e servizi e a venderli cercando di sopravvivere. Più che di una piovra, si tratta di una idrovora gigantesca che convoglia tutta la ricchezza laddove non ce n’è mai stato bisogno. 3 – Registrato in apposito “Catasto Monetario Europeo – Anagrafe dell’Euro Scritturale”, come ho anche recentemente comunicato al Presidente della Commissione Europea JC Juncker. Moneta Nostra permette di inviare denaro scritturale dal debitore al creditore certificandone l’origine, la data di creazione e la catena di titolarità, con una procedura che le banche ad oggi devono ancora imparare. Oltre a risolvere d’un colpo il problema dei 333 miliardi di sofferenze bancarie (o sono 600? ), se solo le banche accettassero di contabilizzare questi pagamenti per cassa, cosa che potrebbero tecnicamente fare ma che le pone psicologicamente di fronte alle loro responsabilità, si risanerebbero le casse dello Stato che per ora si trincera dietro alla asserita “palese assurdità” di un sistema che pretenderebbe di regolarizzare la creazione del denaro scritturale ! I Sindaci a loro volta, con un semplice ordine di servizio, potrebbero creare tutti gli euro di cui hanno bisogno per rispettare il pareggio di bilancio e sdebitarsi con le banche di tutti i mutui e contratti derivati in cui sono incappati negli ultimi anni, senza dover pescare nelle tasche di Pantalone col solito taglieggiamento di chi li ha votati. Basterebbe che copiassero il nostro modulo che ora stanno già ricevendo dai cittadini a pagamento di multe ed altri oneri. Moneta Nostra è l’inizio di un circolo virtuoso educativo che permetterà all’Italia di non finire come la Grecia, spero che almeno questo vi sia ben chiaro. Finché siamo un popolo sovrano, vera la Costituzione, ricordiamoci che IL SOVRANO NON PUÒ SBAGLIARE (“The King can do no wrong.” —William Blackstone, Commentaries on the Laws of England ). 1) Negli ultimi anni, dal 2014, abbiamo assistito a dei fatti notevoli: varie banche centrali, per la prima volta dopo SECOLI, hanno cominciato a dire la verità. La maggior parte della moneta è creata dalle banche prestandola, un’altra parte viene creata quando le banche, centrali e non, comprano immobili, mobili, o pagano dipendenti e fornitori. La Banca d’Italia ha confessato, tra gennaio e maggio di quest’anno, che le banche creano moneta, creano depositi e non pagano le tasse perché “occorrerebbe una tassa apposta…”. In realtà le banche non pagano tasse sulla creazione di denaro poiché questa moneta scritturale viene creata fuori bilancio e per di più allocata sulla base di scelte arbitrarie spesso discutibili. 2) Sempre in questi anni, le banche sono state accusate di manipolare i mercati, le materie prime, i tassi interbancari, e chi più ne ha più ne metta. Nessun banchiere è andato in prigione, se si esclude l’Islanda e, in Italia, l’ex patron di Carige, Berneschi. Ma lo scandalo della contabilità bancaria tenuta come se la banca fosse un intermediario, invece che una fabbrica di moneta, è ancora lontano da fare le prime pagine. 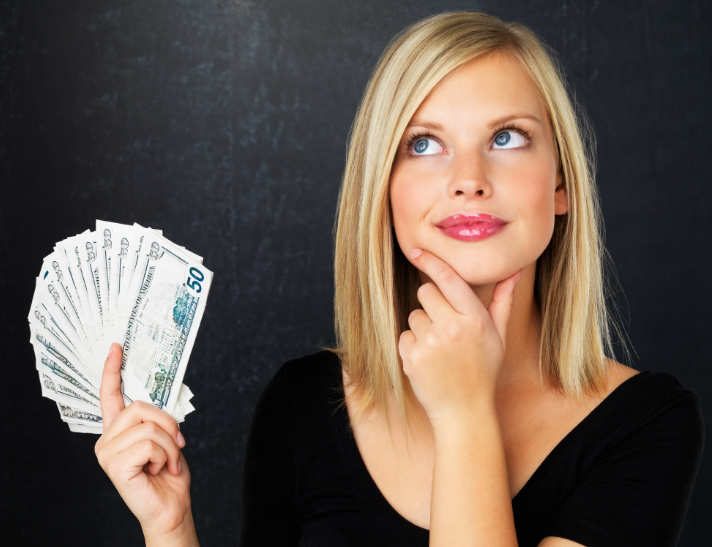 Le sanzioni per lo più, quando arrivano, sono pecuniarie: pagate dalle banche con quello stesso denaro creato fuori bilancio ! Una barzelletta. E intanto i manager delle banche, la governance, riceve i bonus a pioggia – senza “malus”. 3) Al di fuori di questo sistema in cui la politica, la magistratura, gli accademici e i media fanno da compari (ignari? ), si sta sviluppando il nuovo mondo delle criptovalute che oggi capitalizzano 100 miliardi di dollari. Il BitCoin ha rappresentato la fase 1.0, seguita da Ethereum che, con i contratti-astuti (smart contracts) inventati da un programmatore di 24 anni che si era stufato dei giochi online, rappresenta la fase corrente, la 2.0. 4) Le criptovalute sono servite, se non altro, a definire meglio per contrasto che cos’è il denaro elettronico che abbiamo nei depositi bancari. Il sistema attuale di creazione di queste monete digitali è abbastanza primitivo e pretende di dare valore al mezzo di scambio attraverso concetti medioevali come la scarsità programmata ed i costi di “conio” (il consumo di risorse energetiche e di hardware). Il BitCoin avrebbe valore perché è difficile crearlo e la sua quantità è predeterminata dall’inizio (limitata a 21 milioni di BitCoin). Queste due caratteristiche comuni anche alle criptovalute successive rappresentano il limite intellettuale del sistema. Di contro, però, ci sono delle innovazioni molto interessanti: il blockchain, che rappresenta la traccia della catena di titolarità di ogni BitCoin dalla sua nascita fino alla posizione attuale, e la caratteristica dei registri distribuiti per cui ogni utente si porta dietro il registro di tutte le transazioni effettuate, che oggi pesa circa 100 MB. Ma anche queste innovazioni però sono inficiate dall’anonimato, da una parte, e dai tempi di elaborazione e validazione di ogni singola transazione che può superare i 15-30 minuti. Di questi limiti teorici già ne parlavo con il compianto prof. Gianni Degli Antoni nel 2008 in occasione della discussione di una tesi di cui ero suo correlatore. Una nuova valuta dovrebbe riassumere i vantaggi dei due sistemi precedenti – quello bancario e quello delle criptovalute – e correggerne i difetti. 5) Nasce così l’idea di EquaCoin, la terza generazione della moneta elettronica, che riassume i progressi fatti fino ad oggi: non è centralizzata, non è anonima, lascia una traccia catastale nominativa, è una commodity dichiarata contabilmente alla creazione, viene creata attraverso un processo di votazione democratica diretta da parte degli utilizzatori (una testa un voto), realizza la democrazia liquida ed i mezzi per attuarla, non ha costi di transazione e gestione per i partecipanti, non prevede né interessi né prestiti perché viene appunto creata on demand. La gestione tecnologica di EquaCoin è trasparente, economica, open source e verificabile facilmente da chiunque. L’idea di fondo è che la natura della moneta che una comunità usa – o è costretta ad usare – ha un effetto riflessivo sul comportamento stesso della società. E viceversa. Se una moneta corrotta mantiene corrotta la società, una moneta onesta dovrebbe avere un effetto emendatore a livello sociale. Se una società è corrotta, promuoverà un sistema monetario corrotto. Quest’ultima frase è talmente vera che si sono fatte e si fanno numerose guerre proprio per obbligare altre nazioni ad adottare il sistema gerarchico bancario corrotto che abbiamo oggi. L’EquaCoin, di contro, non è una moneta obbligatoria ma verrà scelta autonomamente da chi vorrà dare il suo centesimo per adottare un sistema alternativo equitativo che stabilizza la società distribuendone ad ogni membro il potere di farla evolvere. EquaCoin è la prima moneta evolutiva che contiene in sé il seme del cambiamento scelto democraticamente. La globalizzazione della democrazia per scelta e per convenienza individuale. Un nuovo sistema di pagamento e di finanziamento di iniziative che saranno proposte e votate direttamente dalla comunità, disintermediando il più possibile le fatiscenti organizzazioni crepuscolari che ci stanno portando al caos totale. Un sistema auto-ordinato dove è la parte che fa il tutto e non un qualcuno che decide chi ne fa parte. Una conventio ad includendum invece che ad excludendum come fino a oggi è stato il fine dell’organizzazione piramidale della società. Una internet dell’economia realizzata attraverso la progettazione intelligente del mezzo di scambio che plasmerà i rapporti sociali. La moneta filosofale sarà EquaCoin, la moneta all-inclusive che compete-senza-competere con le nuove monete digitali delle banche centrali (che verranno lanciate – oramai si sa – nel 2018). Una specie di piattaforma Rousseau evoluta che contiene in sé il potere esecutivo di finanziare le proposte votate creando automaticamente le risorse monetarie necessarie per attuarle – by-design. 6) Conclusione. EquaCoin rappresenta una scommessa autoverificante in cui partecipando si determina il successo stesso dell’iniziativa. Con un cambio iniziale uno a uno con l’Euro, basterà possedere una EquaCoin per avere il potere di votare e proporre le iniziative da votare, previa identificazione. Il valore del mezzo di scambio è dato dalla completa trasparenza e distribuzione del potere tra i partecipanti. Il sistema di sicurezza implicito permette la segregazione dei wallet fin da subito: anche in caso di attacco nucleare, i server ridondanti connessi in cloud permetteranno di mantenere intatto e salvo il network degli utenti e del loro wallet. Tutti i dettagli tecnici dell’operazione verranno rilasciati in occasione della prossima ICO (Initial Coin Offering). BEWARE: Counterfeited EquaCoin labelled as "Equacoin" will be not redeemed with good EquaCoin in the new EquaZone wallet at the redemption time of November 3, 2017.
are to be trusted and will be transferred to the EquaZone. All original subsequent transactions from the original account are tracked in the EquaCoin blockchain so genuine transactions cannot be altered.